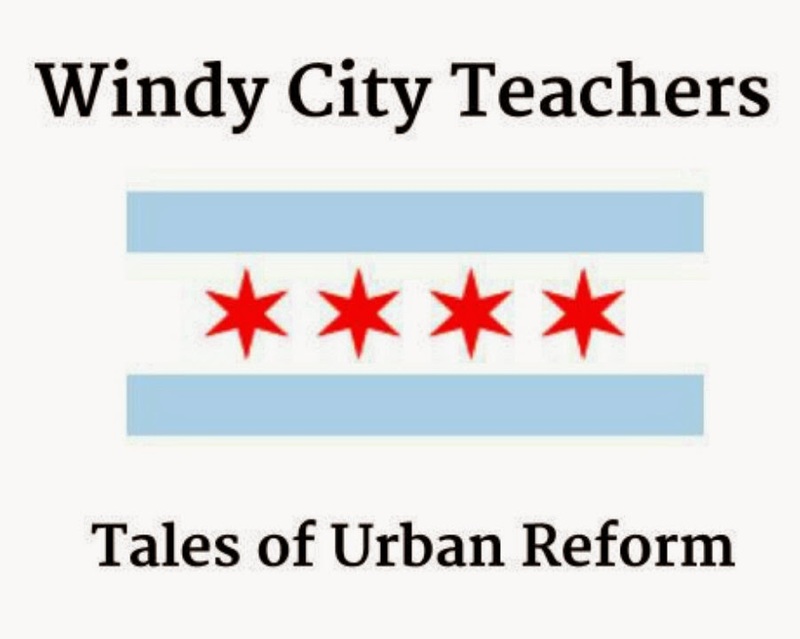 We are CPS high school teachers, meaning that we spend a lot of time creating lessons for teenagers. Many of our teenagers are quite behind. We also spend a lot of time figuring out how our students are doing with their learning. Some of our students are even getting close to being ready for college. Maybe not Northwestern, but still. Teaching is our thing. If we were into the business world, we probably wouldn't be driving ten-year-old cars. 2. Barbara Byrd Bennett has a side job: "Executive Coach in the Broad Superintendent Academy"
5. 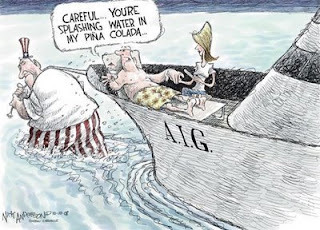 In 2008, AIG was the recipient of the biggest corporate bailout in American history. No citation needed for this one, readers. Urban Dictionary puts it best: "One of those heinously corrupt organizations that takes money-grubbing scum to new levels! These bastards took more than $160 billion in government bailout money and then gave top executives more than $160 million in bonuses." Broad Institute + AIG = better schools for low-income city kids?? What are we missing here? More resources should be devoted to public schools to pay great staff, fund early education, supply basic student needs, and extend the school day. The corporate raiders should make donations [read: tax deductions] to the public schools to improve them rather than running for profit charter schools and TAKING public money. Let the parents who want a private [read: good school] education for their children PAY for it. Public $ should not be going to schools that have autonomy from the public school department; select certain students; force children who don't live up to their academic and behavioral standards to return to public schools in the middle of the year [ How does that kid feel? ] discourage ELL and SPED students; and, most galling - barely pay a living wage to teachers, yet pay their Board Members. This is OUTRAGOUS! Thank you for your righteous outrage!! Dealing with the corporate educational profiteers first-hand makes us outraged as well; adding insult to injury is the main-stream media's complete refusal to dip their toes into the water. AIG should be allowed to advise on matters of public education? ?